Ice Dams | Controlled Air Inc.
An ice dam is a hump of ice that forms at the edge of the roof. 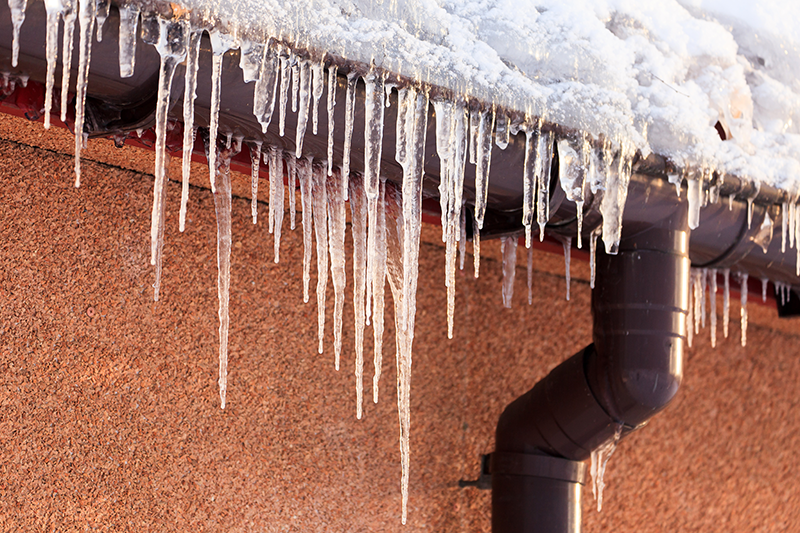 Ice dams form when a home’s escaping heat warms the roof and melts the underside of the snow layer on the roof. Water trickles down the roof until it reaches the cold at the edge of the roofing, where it freezes. After a while, the ice at the edge gets thicker, forming an ice dam. This puts your roof and the inside of your building at risk. If the water reservoir behind the ice dam is large enough, water can back up under the roof shingles and damage ceilings. Beware of snow and ice falling on family members, tenants & the public. Ice deposits can form slip hazards on the ground. Beware of mold and spores caused by moisture accumulating indoors can be hazardous to your health.